We first met — I think — in the summer of 2015 during the Hamfest in Friedrichshafen. 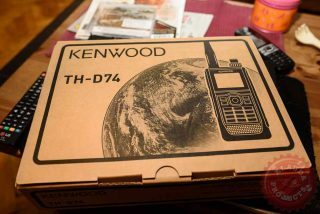 At that time I had a mobile Kenwood transceiver TM-D710 which was quite nice by its own. However, after several months using the TM-D710 I got increasingly annoyed by some of its shortcomings, most of them purely subjective (but I also had some objective complaints to do). Thus I borrowed it to my friends at YO5KUC ham radio club, indefinitely, to use it for their weekly QTC bulletin because they did not have a decent VHF/UHF transceiver. Back to the TH-D74. 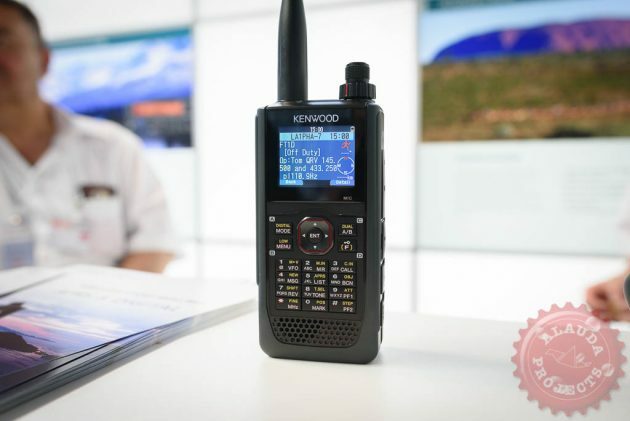 As I was visiting Kenwood’s booth, I noticed this new portable transceiver placed under a protective glass shield and I asked whether I might play a bit with it. What was funny was that it had no product name or whatever written on it so I suspected it was a prototype. 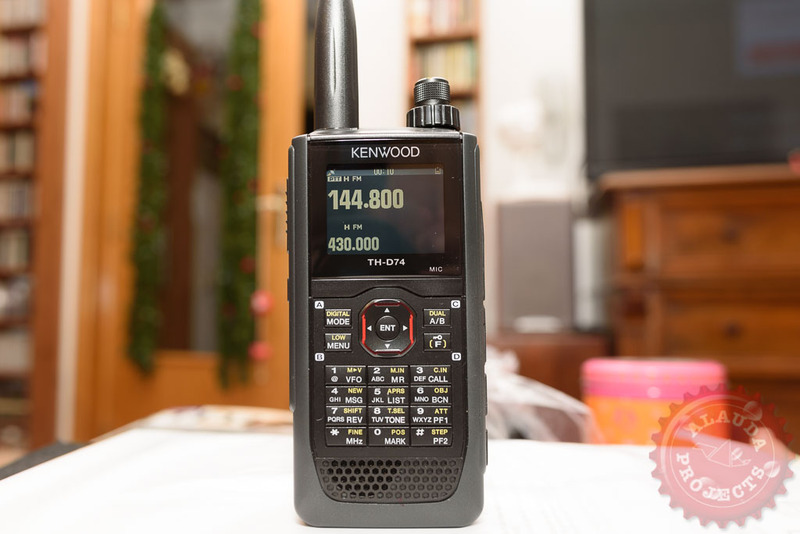 Kenwood TH-D74, Friedrichshafen 2016. Notice that there was no product name or ID. The guy there was not very happy with my request but he handed me the device, displaying a nauseous “whatever” expression on his dumb face (by the way, Kenwood, you really have to do better in this area: train your personnel to be nicer with your potential customers; take Icom’s example). 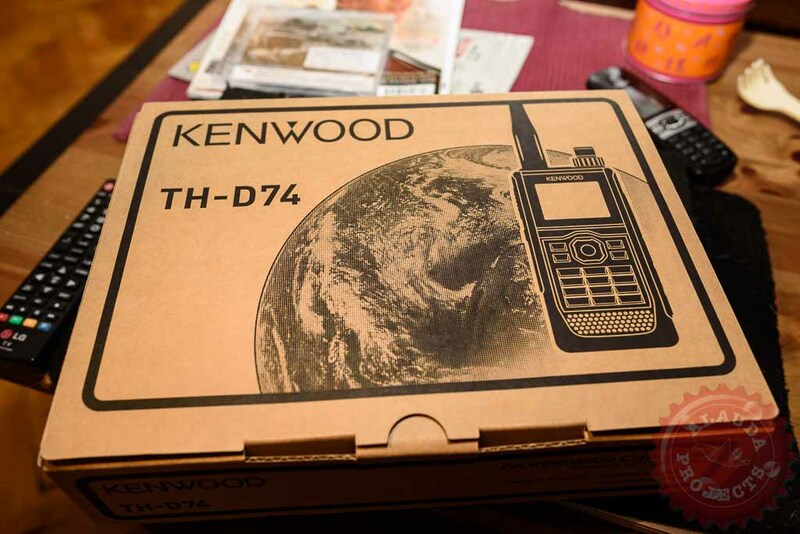 But the new D74 was impressive in each and every single aspect: nice color display, excellent resolution, GPS included, APRS capable and — what was quite rare for any portable transceiver at that time (if not absent for all of them in general), TH-D74 was provided with bluetooth and USB connectivity. A huge plus ! TH-D74 BT Device Information in Apple’s Bluetooth Explorer app. See Serial Port is listed as supported profile. 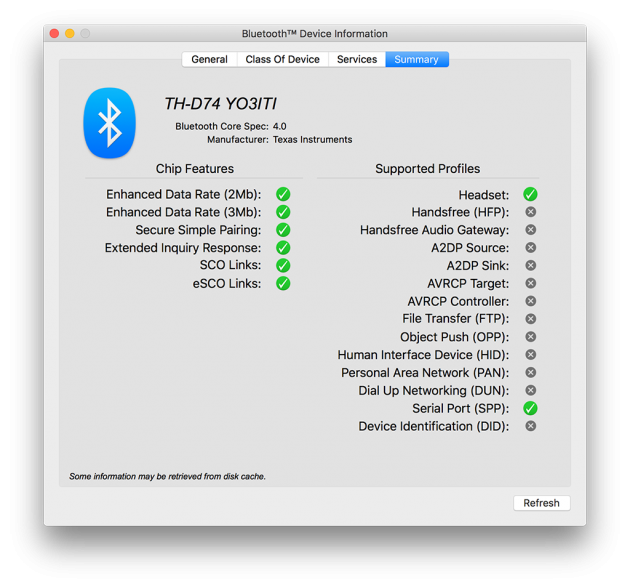 For bluetooth profile description, see here. So the adventure begins. I have big plans for this transceiver. First, I need to understand how can I properly communicate with it via BT. I prefer BT because I would like to keep it somewhere with access to satellites for GPS and for proper functioning of APRS and that means that will be at some distance from my computer. I need to get back to the trusty XCode and revisit my C skills (quite rusty these days) and dive into some coding fun. Hopefully, eventually I will be able to provide something useful and functional. 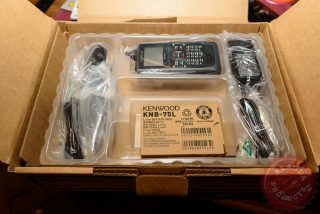 Some photos below taken when I received the transceiver. More to come. 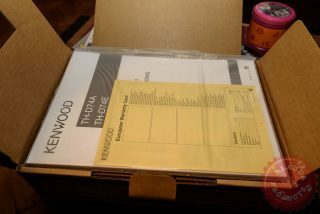 The box, as it came. 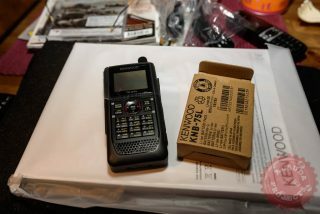 The transceiver and the box that holds the battery pack. TH-D74 running. Compare this with the photo above — see the product name under the display. 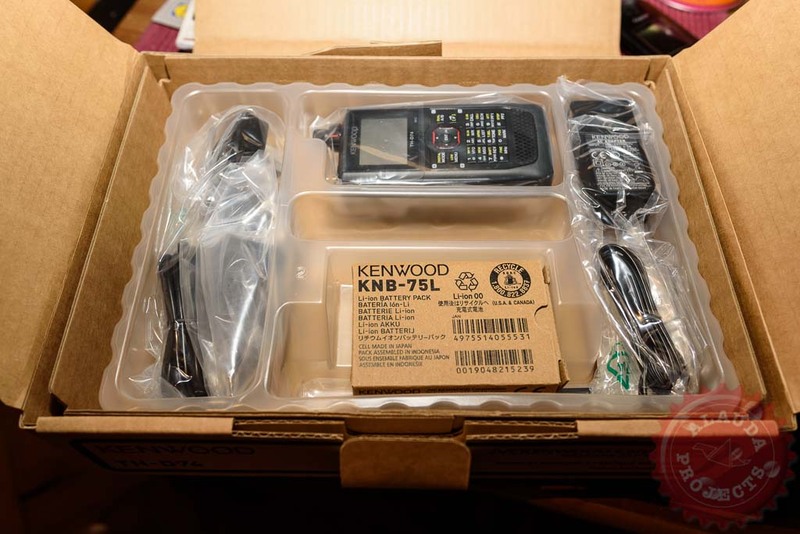 Filed in Blog, Ham Radio and tagged Kenwood, TH-D74. Bookmark the permalink.